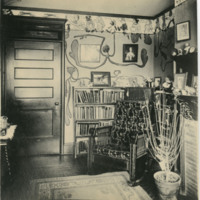 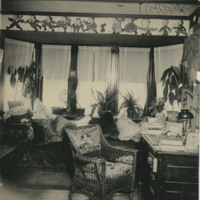 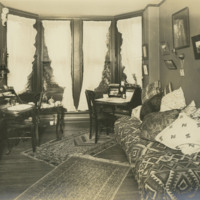 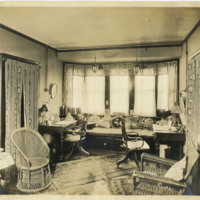 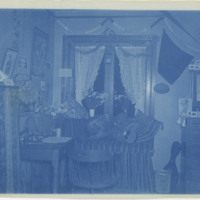 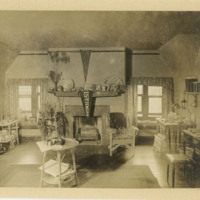 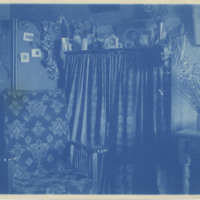 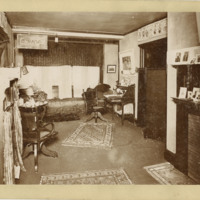 Interior view of the room of Fanny S. Sinclair (class of 1901). 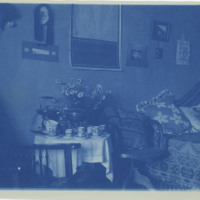 The image depicts a furnished part of her room. 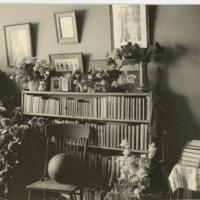 There are several vases/ pots filled with flowers placed on furniture across the room.